How Residency Requirements Affect Divorce in Virginia | Melone Law, P.C. While you always have the right to represent yourself in a divorce, you may be unknowingly giving up important rights. 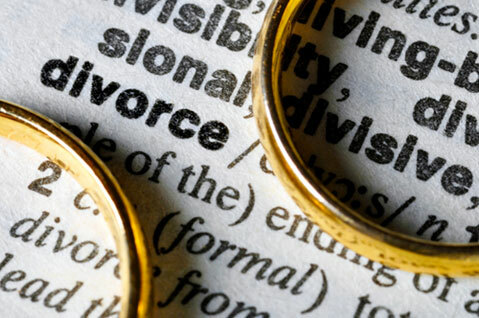 In filing for a divorce, the parties need to meet certain requirements for the case to proceed; mistakes can result in a dismissal, meaning wasted time and money. One of the key areas that many people fail to understand is the residency requirements for filing a divorce in Virginia. A Virginia family law attorney will make sure that your rights are protected and all filings and deadlines are met. So, the residency requirement is met if either spouse has had a permanent home in Virginia, even if that party was not physically present in the Commonwealth during every day of the time period. The law is absolutely clear on this point. Either you or your spouse must have been a resident for the required 6 month period of time during the separation and at the time that your file for divorce. The domicile requirement is a separate condition. Being “domiciled” means that you intend to live there permanently, or at least indefinitely. A person may have more than one residence, but can only have one domicile at any particular time. For a divorce in the state of Virginia, the jurisdiction is held by the county or city where the two parties last lived together as husband and wife. But, the petitioner may also choose to file the divorce in the county or city in which he/she resides, or in the county or city where the respondent currently resides, as long as that residence is within the state of Virginia and one of the parties has met the residency requirement. What if you moved within the state of Virginia? A person does not have to remain at the same address to file for divorce in Virginia. As long as the new address is within the state, the residency requirement is met. In the case where one spouse stayed in the home and the filing petitioner moved out, the petitioner would file in the jurisdiction of the shared home. The filing spouse, or petitioner, will not be required to list every address at which he/she lived during the period of separation, but they should be prepared to prove where they lived during the separation at the time of the final hearing. In many cases, the residency of the filing spouse will be accepted as it is listed in the sworn complaint. The testimony of a corroborating witness will verify the petitioner’s residency. But, it’s a good idea to bring copies of leases, utility bills, and a valid Virginia driver’s license with your current address, especially if you have moved several times, to support the residency requirement. Some Virginia counties require a sheriff’s proof of residency. In all Northern Virginia jurisdictions, you will be required to show a valid Virginia driver’s license with your current address. A case can be dismissed if the petitioner cannot provide proper proof of residency, and some rulings have even been overturned on this basis. How do you establish residency? 5) Renting/buying a home and setting up utilities. Your spouse does not have to be a resident of Virginia for the proceeding to go forward. If either you or your spouse moves to another state after the divorce has been filed, you may still have the case heard in Virginia. Virginia law provides a special jurisdiction rule for military divorce cases. A member of the Armed Forces who has been stationed or has resided in Virginia for the requisite time period immediately preceding the filing of the divorce action is presumed to be both domiciled in and a resident of the Commonwealth. To further complicate matters of residency and jurisdiction, a court may have jurisdiction to grant your divorce, but may not have jurisdiction to decide issues of child custody or property division. Or, they may decide division of property owned within the Commonwealth, but not have jurisdiction to grant the divorce because the parties don’t meet the residency requirement. If you have questions or concerns about residency or jurisdiction, consult an experienced family law attorney. The attorneys at Melone Law have the knowledge and expertise to advise you in this matter. Make sure that all of your rights are protected during a divorce. Schedule a consultation today.